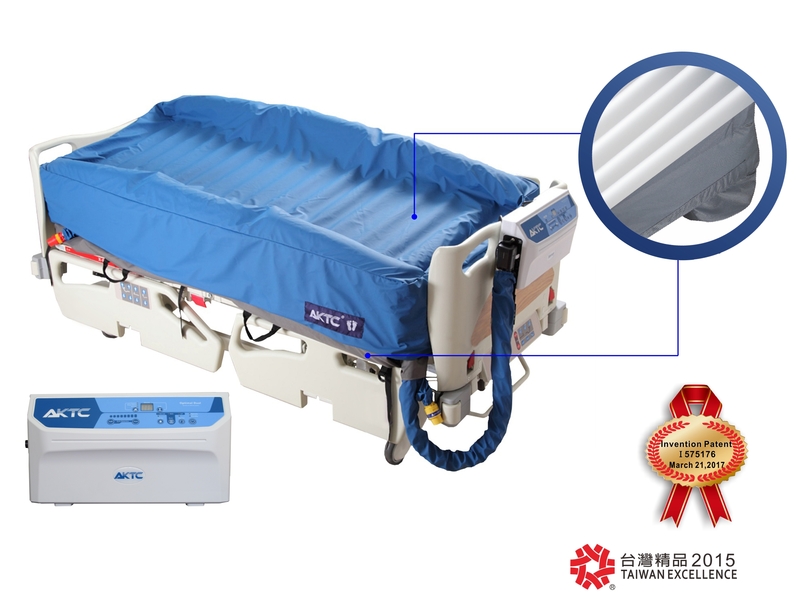 The Optimal Dual is an advanced multi-functional microcontroller programmed 9.0L+9.0L dual linear compressors digital pump with a detachable power cord dynamic mattress replacement system. The high flowrate fast inflation dual compressors digital pump has a precise digital pressure transducer which is able to reduce the power wattage once the pressure is reached therefore it is the most quiet, power efficiency, and extended lifetime pump. The digital pump has 20 minutes static mode, alternate mode with selectable cycle time, Constant Low Pressure (CLP) or pulsate mode with selectable cycle time, auto-firm mode, auto-detection mode, and an optional fowler detector. To insure patient’s safety, the pump has audiovisual low pressure, power failure, and service alarms with error code. 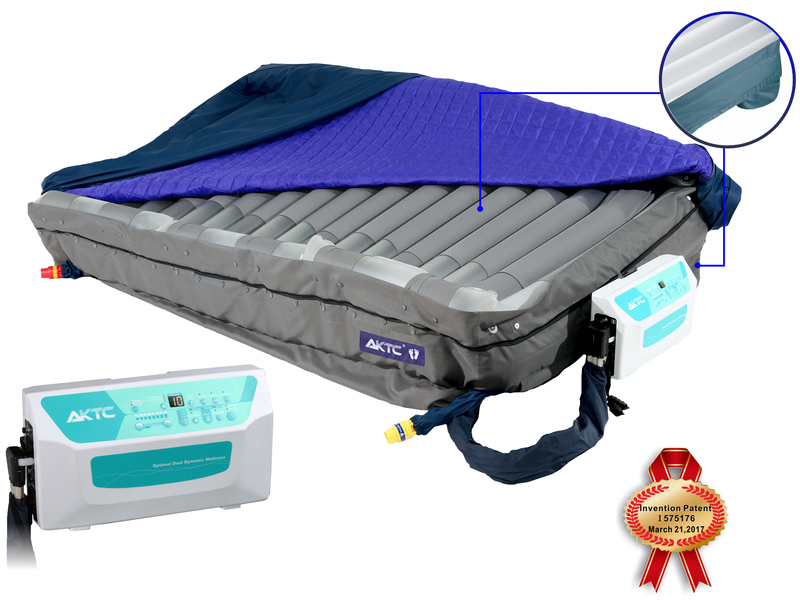 The Optimal Dual Turn lateral rotation and alternating dynamic mattress replacement system is an advanced multi-functional microcontroller programmed 9.0L+9.0L dual linear compressors digital pump with a detachable power cord. The high flowrate fast inflation dual compressors digital pump has a precise digital pressure transducer which is able to reduce the power wattage once the pressure is reached therefore it is the most quiet, power efficiency, and extended lifetime pump. The digital pump has 20 minutes static mode, alternate mode with selectable cycle time, turning mode with selectable turn cycle time, Constant Low Pressure (CLP) or pulsate mode with selectable cycle time, auto-firm mode, auto-detection mode, and a two-stage fowler detector. 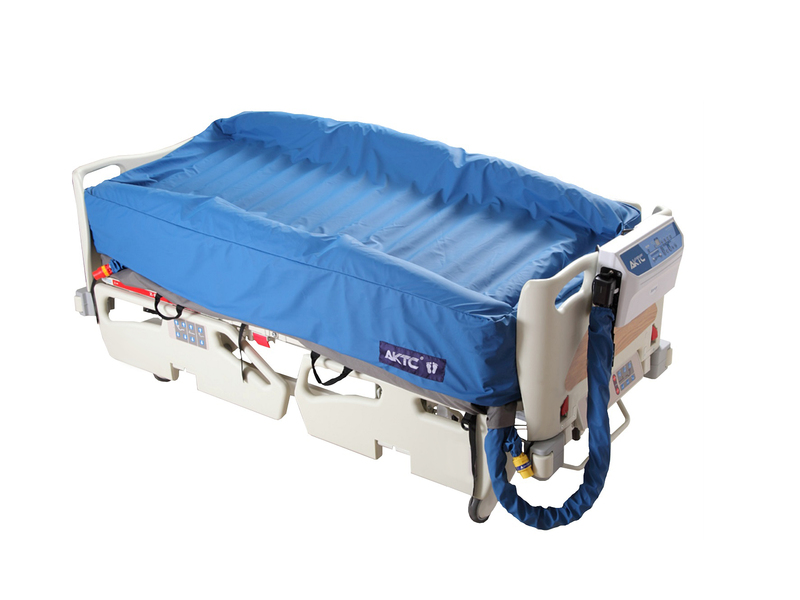 To insure patient’s safety, the pump has audiovisual low pressure, power failure, and service alarms with error code. 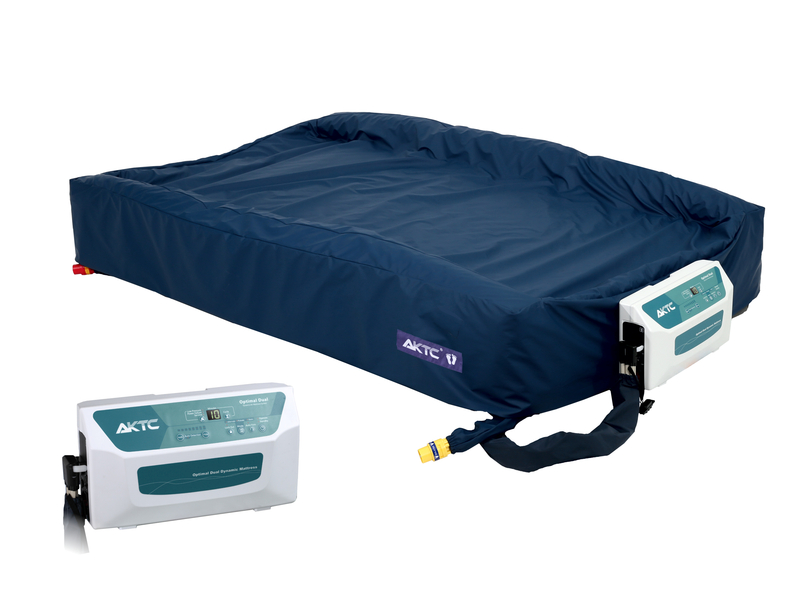 The Optimal Dual Bariatric is an advanced multi-functional microcontroller programmed 9.0L+9.0L dual linear compressors digital pump with a detachable power cord dynamic mattress replacement system. The high flowrate fast inflation dual compressors digital pump has a precise digital pressure transducer which is able to reduce the power wattage once the pressure is reached therefore it is the most quiet, power efficiency, and extended lifetime pump. The digital pump has 20 minutes static mode, alternate mode with selectable cycle time, Constant Low Pressure (CLP) or pulsate mode with selectable cycle time, auto-firm mode, auto-detection mode, and an optional fowler detector. To insure patient’s safety, the pump has audiovisual low pressure, power failure, and service alarms with error code. 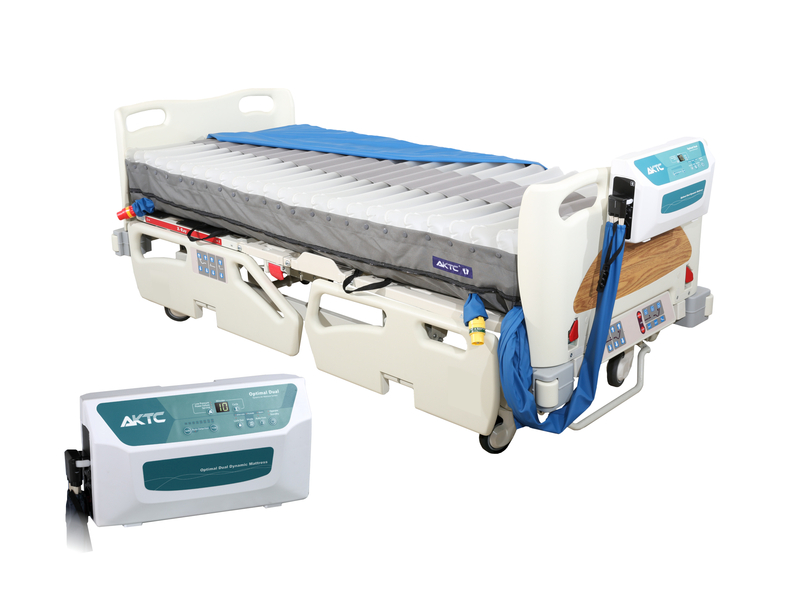 The Optimal Dual Turn Bariatric lateral rotation and alternating dynamic mattress replacement system is an advanced multi-functional microcontroller programmed 9.0L+9.0L dual linear compressors digital pump with a detachable power cord. The high flowrate fast inflation dual compressors digital pump has a precise digital pressure transducer which is able to reduce the power wattage once the pressure is reached therefore it is the most quiet, power efficiency, and extended lifetime pump. The digital pump has 20 minutes static mode, alternate mode with selectable cycle time, turning mode with selectable turn cycle time, Constant Low Pressure (CLP) or pulsate mode with selectable cycle time, auto-firm mode, auto-detection mode, and a two-stage fowler detector. To insure patient’s safety, the pump has audiovisual low pressure, power failure, and service alarms with error code.